Transparent star Jeffrey Tambor has been fired by Amazon following an internal investigation. 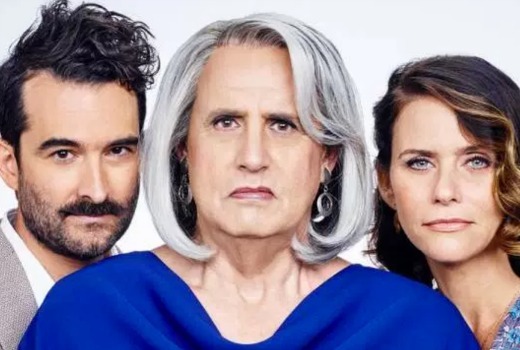 “I have great respect and admiration for Van Barnes and Trace Lysette, whose courage in speaking out about their experience on Transparent is an example of the leadership this moment in our culture requires,” creator Jill Soloway said. It remains unclear how plotlines of Season 5 will proceed without its star, or whether it will be the final season. Transparent airs in Australia on Stan. Once again I am so conflicted. I love Jeffery Tambor’s work and so want to believe in him. I also acknowledge the validity of complaints made and have to respect and assume fair processes were applied. Can I see a decent future for Transparent without Maura though? I don’t think so. He was lovely when I chatted to him, and I have personally known Jill Soloway. But I am a journo not in the production family. Yeah sorry, for me there is no Transparent without Maura… I’m out.